Dr. Roscoe Lewis Mckinney – Gamma Chapter | Omega Psi Phi Fraternity, Inc. 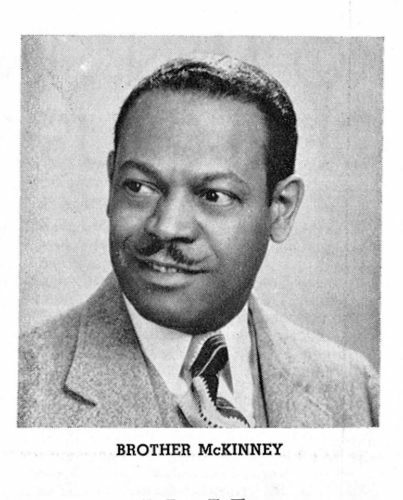 The First Black Ph.D. in Anatomy, Dr. McKinney established the department at Howard University, serving as chair and vice dean of the College of Medicine. A graduate of Bates College, Sigma Xi honor society member, and Fulbright fellow, for more than 50 years McKinney taught and lectured around the world in divergent locations such as Iraq, India, and Saigon. He founded the first tissue-culture laboratory in the entire Washington, DC area, making Howard a focal point for advice in tissue-culture technique. His legacy in anatomy has several aspects, from the inclusion of his research in textbook, to his tissue samples as a standard in the reference text Gray’s Anatomy. This entry was posted in Gamma Brothers and tagged Anatomy, Bates College, Howard, Howard medical College, Omega Psi Phi. Bookmark the permalink. Pingback: College and University Presidents, Deans, and Professors Emeriti – Gamma Chapter | Omega Psi Phi Fraternity, Inc.